Is a leading new and pre-owned aesthetic laser supplier in the United States; servicing domestic and international markets. 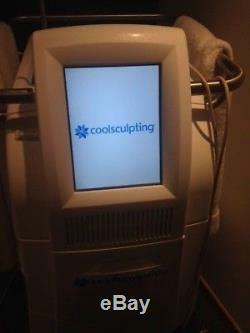 Our company is focused on providing the most popular aesthetic lasers at significant discounts. We take each device through a thorough inspection process to ensure they meet quality inspection standards. Every device we sell is listed in working order unless otherwise notated in the listing details. Why are your prices so low? Answer: We liquidate medical facilities across the country who sell their devices to us for a variety of different reasons. We then extend that discounted price point to you as we ensure you get the best deal available. All of the devices we acquire are inspected prior to our acquisition to verify operating condition. Each device listed is in working order unless otherwise notated in the listing details. Answer: Each device that we sell comes with a 24 hour inspection period standard. We offer extended limited warranties at additional cost but are not included in our listed prices. A consult is just a call away. Is one of the leading new and pre-owned aesthetic laser suppliers in the United States; servicing domestic and international markets. Our company is focused on providing the top quality aesthetic lasers at significant discounts. Customer and Customer's Prescribing Practitioner are solely responsible for the use and operation of this medical device in accordance with all applicable laws and regulations, and medical and treatment guidelines, and for ensuring that each operator of this medical device is adequately trained and qualified to use and operate this medical device safely and properly in a clinical setting and to perform medical procedures in accordance with such laws, regulations and guidelines. Synergy Medsales makes no representations or warranties regarding federal, state or local laws or regulations, or medical or treatment guidelines, that might apply to the use and operation of this or any medical device. Customer and Customer's Prescribing Practitioner are solely responsible for contacting state and local licensing agencies regarding requirements applicable to the use and operation of this medical device. 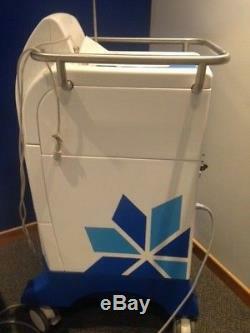 Use of this medical device involves certain risks of injury to patients. Customer and Customer's Prescribing Practitioner are solely responsible for ensuring that patients are informed of these risks. 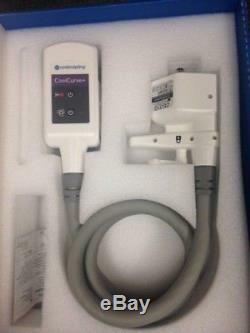 Improper use of this medical device may increase the risk of injury to patients. The sale of this item may be subject to regulation by the U. Food and Drug Administration and state and local regulatory agencies. 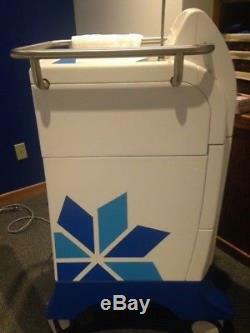 Is a capital equipment and medical device brokerage serving domestic and international distribution points. Our clients include direct sales to physicians, clinics and medical spas that benefit from on-hand inventory and a wide variety of special orders in the pipeline. WHAT SETS US APART We strive to deliver a level of service that exceeds the expectations of our customers. We want you to feel confident in your decision to choose Synergy MedSales as your partner in sourcing quality and affordable medical equipment and we know our ethical business practices will speak for themselves. We have friendly, knowledgeable representatives available seven days a week to assist you! Get more information by visiting our website by clicking here. 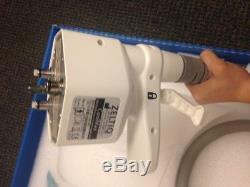 Federal (USA) law restricts (and state law may restrict) this medical device to sale or use by or. On the order of a physician, dentist, veterinarian or other practitioner licensed in the state in. 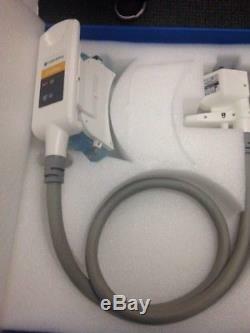 Which this medical device is used or ordered (a "Prescribing Practitioner"). Customer's Prescribing Practitioner are solely responsible for the use and operation of this. Medical device in accordance with all applicable laws and regulations, and medical and. Treatment guidelines, and for ensuring that each operator of this medical device is adequately. 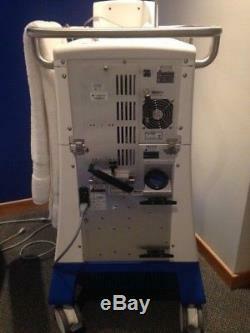 Trained and qualified to use and operate this medical device safely and properly in a clinical. Setting and to perform medical procedures in accordance with such laws, regulations and. Synergy Medsales makes no representations or warranties regarding federal. State or local laws or regulations, or medical or treatment guidelines, that might apply to the use. And operation of this or any medical device. Customer and Customer's Prescribing Practitioner. Are solely responsible for contacting state and local licensing agencies regarding requirements. 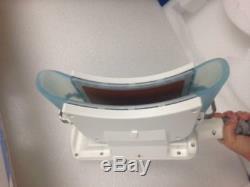 Applicable to the use and operation of this medical device. 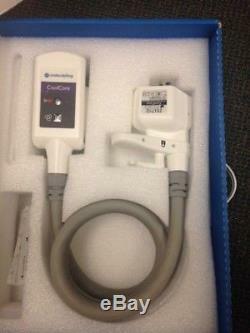 Use of this medical device involves. Certain risks of injury to patients. Customer and Customer's Prescribing Practitioner are solely. Responsible for ensuring that patients are informed of these risks. Improper use of this medical. Device may increase the risk of injury to patients. Certified, Top of the Line Equipment! 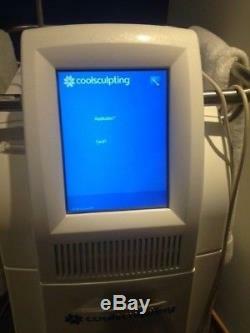 2014 Zeltiq Cool Sculpting S/N BAM2014 Hand Pieces Included Cool Mini Cool Fit Cool Curve Plus Cool Core Cool Max Cool Smooth Pro Power Cord Manual SMS G-036. We strive to deliver a level of service that exceeds the expectations of our customers. Austin Podowski, CEO Synergy MedSales. Track Page Views With Auctiva's FREE Counter. 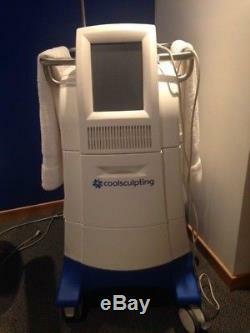 The item "2014 Zeltiq CoolSculpting with 5 Applicators 24 HOUR SALE" is in sale since Wednesday, January 17, 2018. This item is in the category "Business & Industrial\Healthcare, Lab & Dental\Other Healthcare, Lab & Dental". 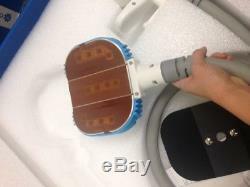 The seller is "synergymedsales" and is located in Huntington Beach, California.